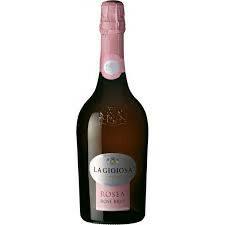 La Gioiosa Rosea Prosecco is Light and bright rose colour. Fine and delicate perlage. Fruity and flowery bouquet with delicate notes of unripe golden apple and small mountain flowers. The flavour is dry, fresh and zesty, with a fruity and harmonious aftertaste. With this product, you earn 445 loyalty point(s).